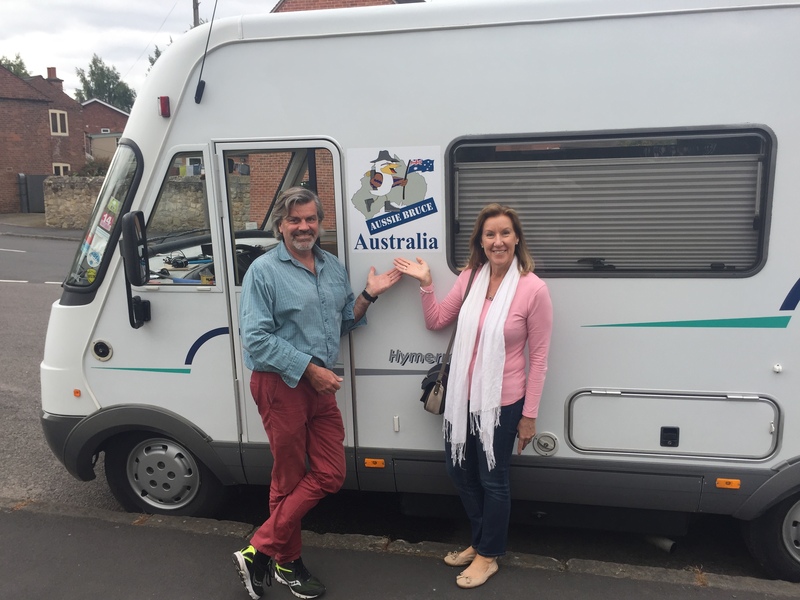 A day in the life of the intrepid travellers!! Mmmm…… Firstly, there are no alarm clocks…… we wake up hen our bodies have had enough “shut-eye!” Long days with the sun setting late …. It can be 10:30 before it is dark & much latter before we can seep! All this sight-seeing & exploring can be pretty exhausting at times…. No joke!! (We sometimes plan and research late into the night about where our next destination is and the route, etc. After our morning “power walk”, we enjoy a light breaky – muesli or fruit whilst checking emails. The morning in France is late in the business day in Melbourne – so there will often be some little task to address. Ryan is doing a great job at SafetyQuip – but thankfully there a couple of little tasks he has allowed Mark continue with. In France, the Office de Tourisme in each village/city provide us with local maps & bike paths in their regions. That makes it our first port of call in each new area. They are usually open all day in July/August as this is their peak time. Not so outside this time. Closed for lunch or not on Sundays and Mondays. Portugal and Spain were harder to get information. 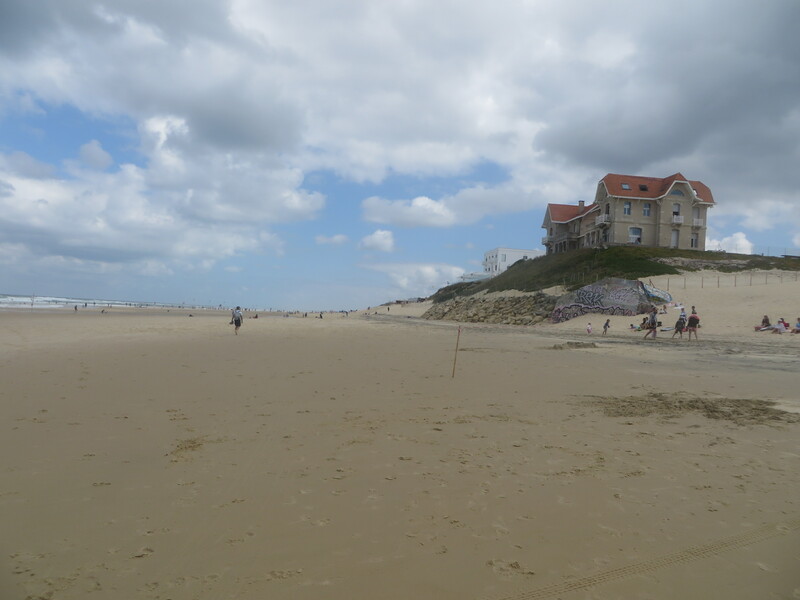 Everything closed for at least two, sometines 4 hours each afternoon – except cafes/restaurants – which meant you had to time your visit to the Tourisme!! So, after petite dejunere (breaky) out come our bikes & we are cycling the immediate area first & then further afield!! Usually 2-3 hours ride, returning back to Bruce with a fresh baguette, jambon & a local cheese for a late lunch (about 3pm). Now that we have surveyed our surroundings, we discuss what to do!!?! Should we take a tour with an English guide of the city centre?? There is a 50/50 chance that we will ….. sometimes they aren’t available on the days we are there or they only have Spanish/French guides. 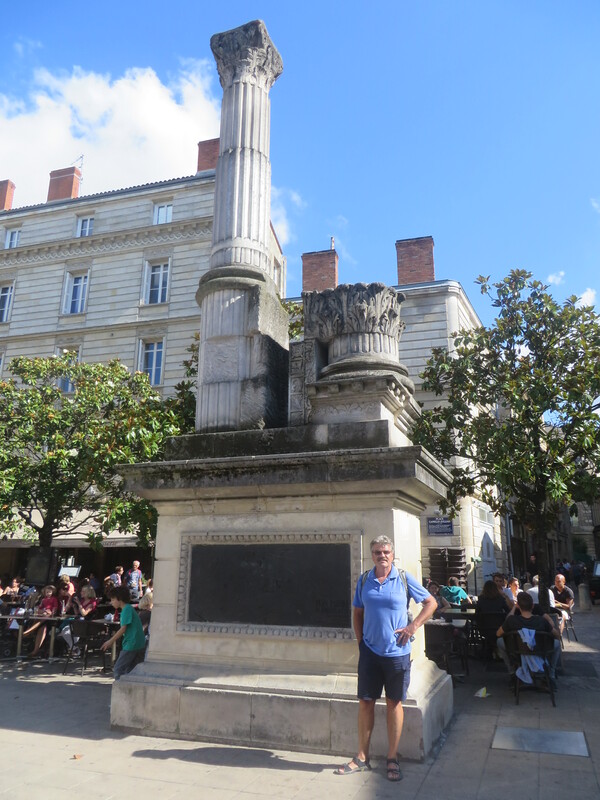 Each time we have a guided tour in English, we come away with so much more knowledge & we often meet interesting tourists too …. And end up sharing a drink, coffee or meal with them after the tour. What do we typically eat for dinner? Well that depends on what country we are in.!! In Portugal, food and drink was ridiculously cheap so eating out was an enjoyable and affordable option!! Spain was reasonable too, but often we buy local meat and veges from the street market or supermarche & eat in at night. Porc (pork), kebabs & canard (duck) are regulars on our menu! 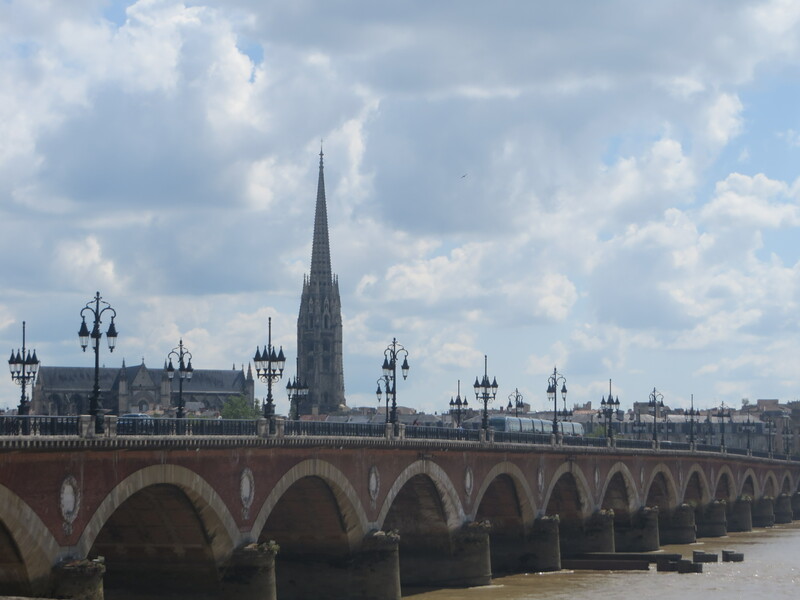 France is very expensive for food and coffee (café crème) in the main cities/towns! 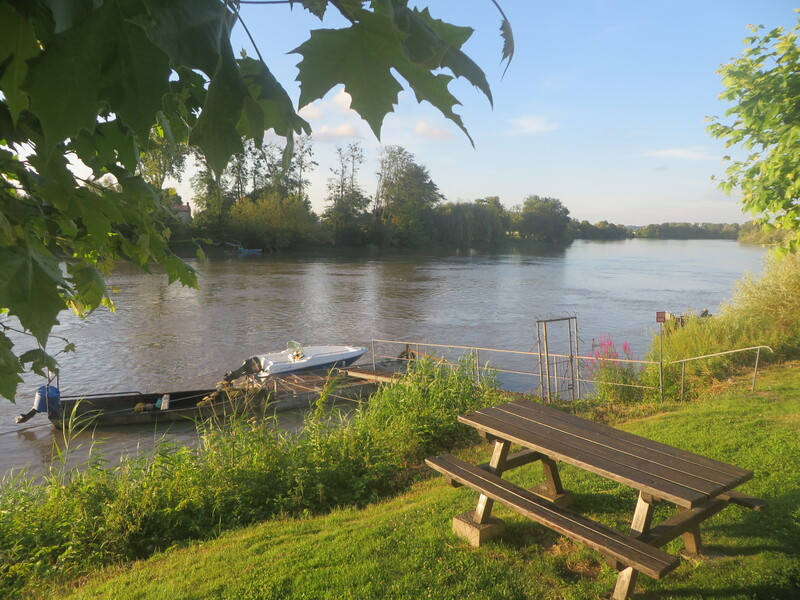 We treat ourselves now and then to the quaint little countryside restaurants where we taste local specialities (duck fillets last night in Sainte Emilion) at good prices too. Tonight, Mark cooked up steak patties with salad whilst Bev stated the blog writing. 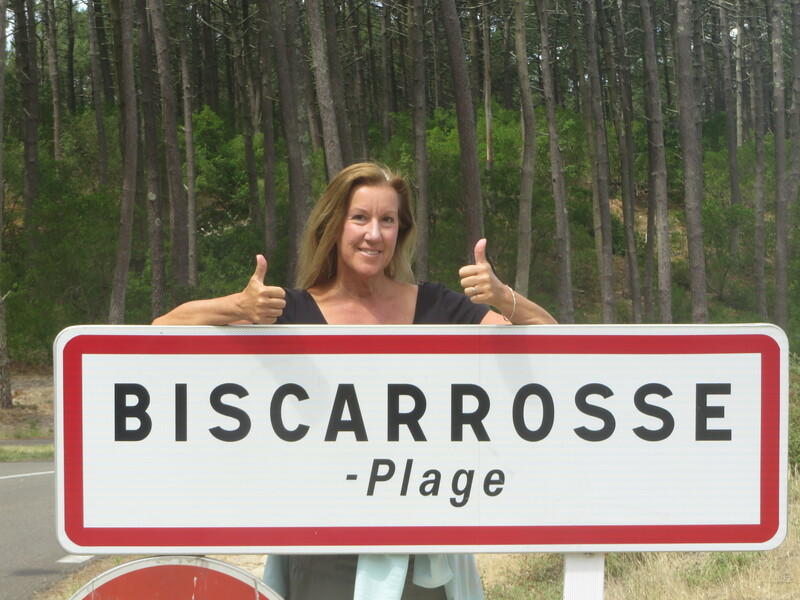 Biscarrosse, another place that we had not heard of until driving through, in south-west France is a fantastic holiday destination! 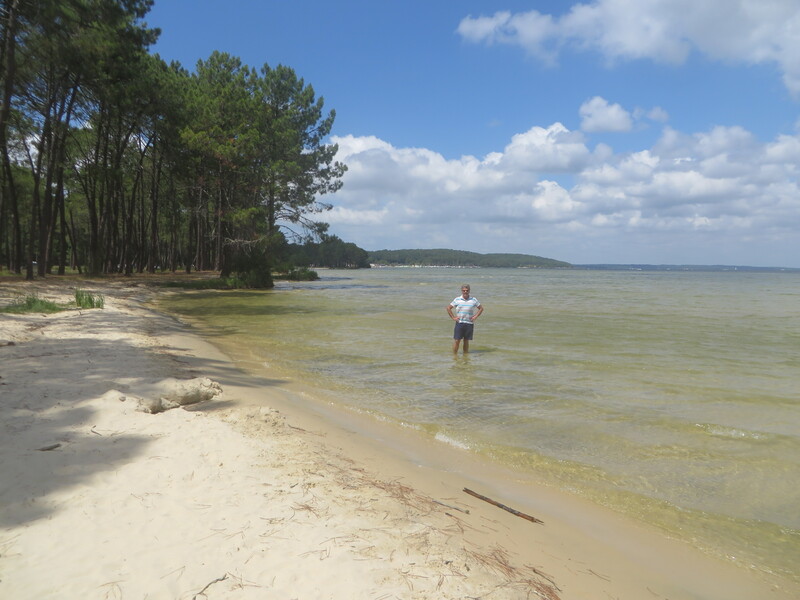 Excellent surf beaches, pine forests, lake beaches with soft, white sand! 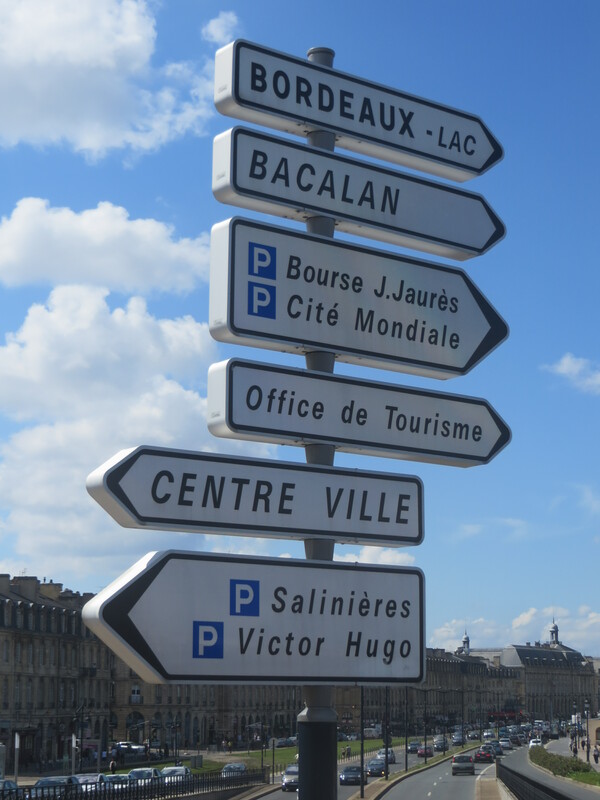 All of these are joined by “pistes cyclables” (Bike Paths) & July has brought many French families down to this region and they ALL have bikes!!…. 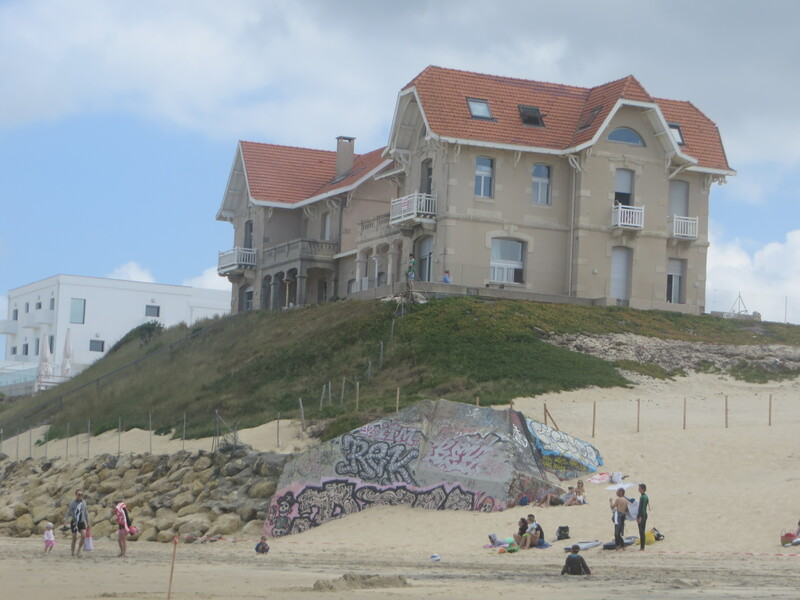 About an hour from Bordeaux and on the Atlantic Ocean – very popular summer vacation spot. 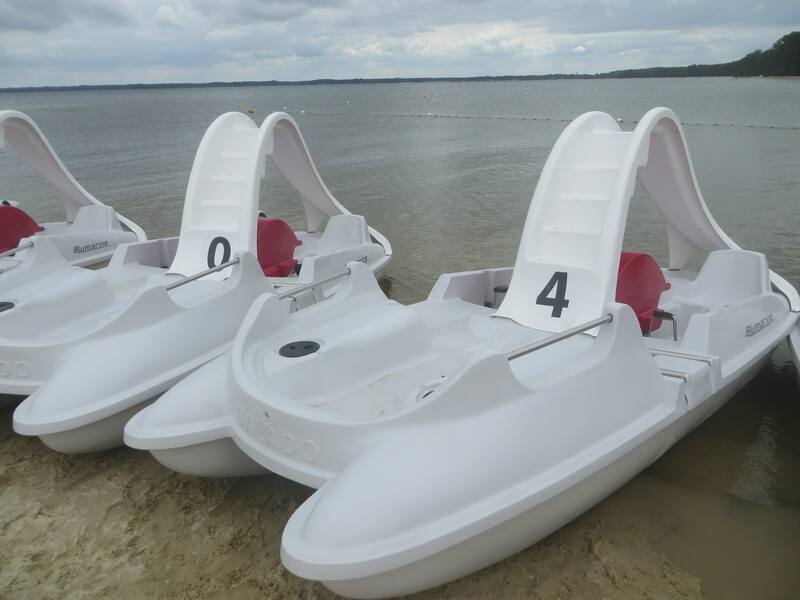 The water activities are all here — latest style aqua bikes & pedal boats with water slides, dive platforms, blow-up “play equipment” for the teenagers too. 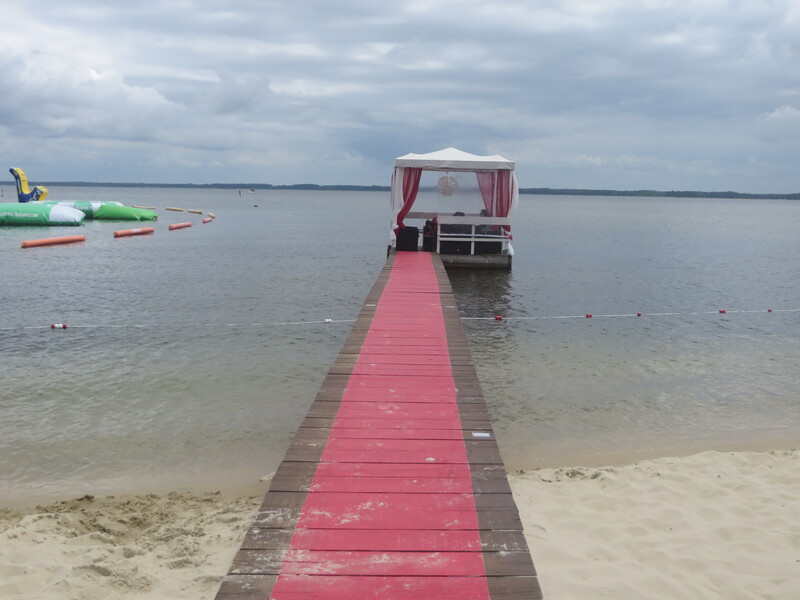 Delicious cafes on the lake with “red carpet” option if you are wealthy enough. We watched the waitress deliver gourmet cuisine to the VIP “tent” at the end of the red carpet! 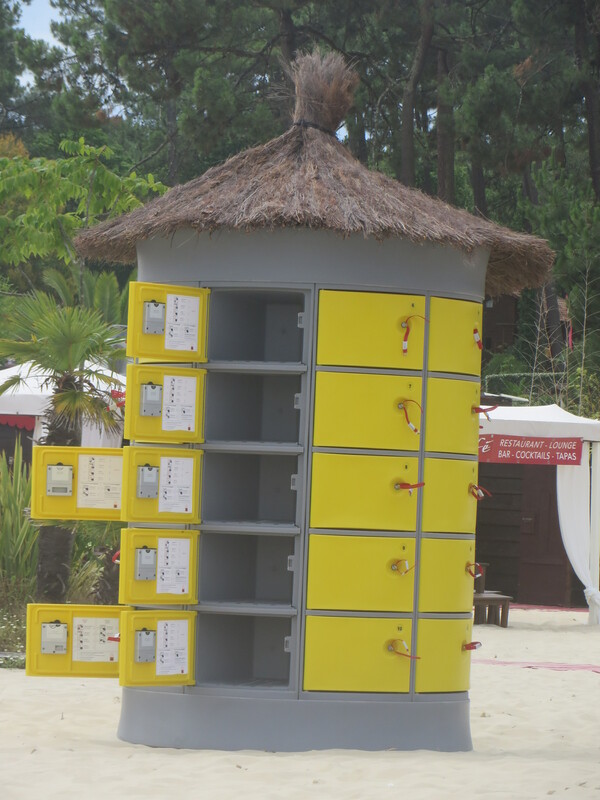 Interesting beach lockers with thatched roof, on shore – great idea! 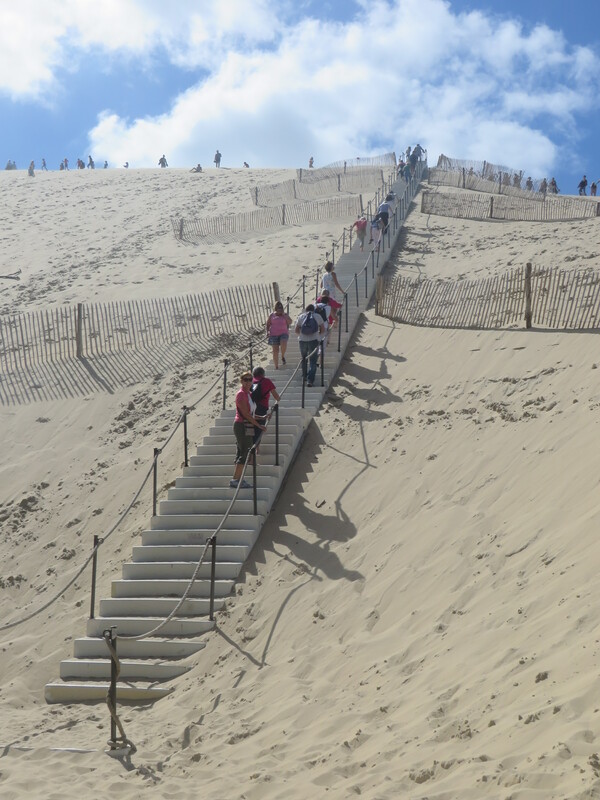 The_largest sand dune in Europe was 25km from Bruce’s perch on the ocean, & it was worth the cycle – all on paths. Fibreglass stairs take you to the top and then Mark’s fun run down. 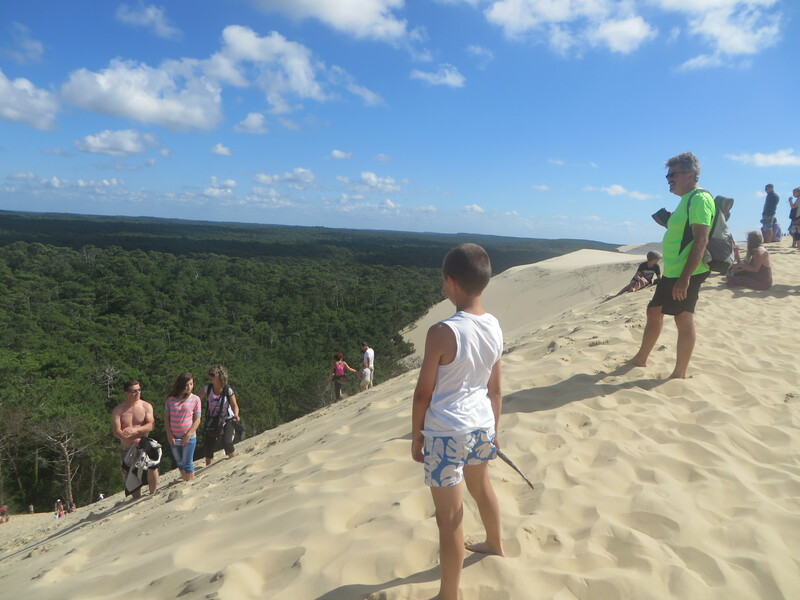 La Dune du Pilat has a volume of about 60,000,000 m³, measuring around 500 m wide from east to west and 2.7 km in length from north to south. Its height is currently 110 metres above sea level. 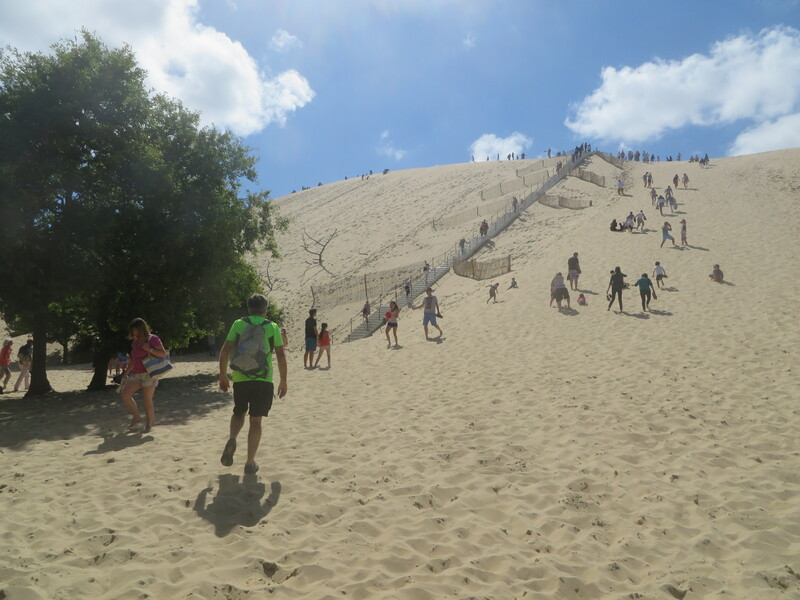 The dune is a famous tourist destination with more than one million visitors per year. The dune is always kept in motion by wind and tidal movement and makes its way further inland. The pine forest and several campsites are gradually being swallowed up by this huge and overwhelming mass of sand. 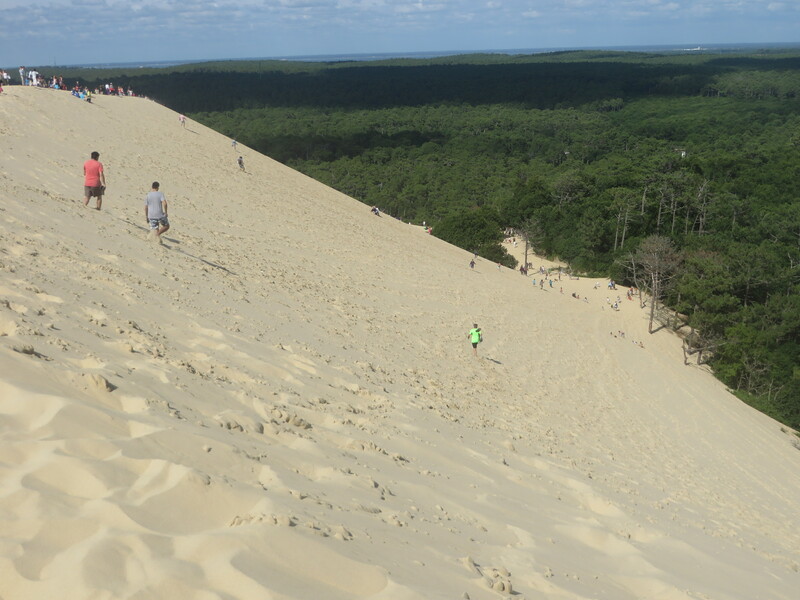 Each year, the dune advances inland by several meters. In fact, the sea wind has no trouble raising and carrying away this incredibly fine sand. 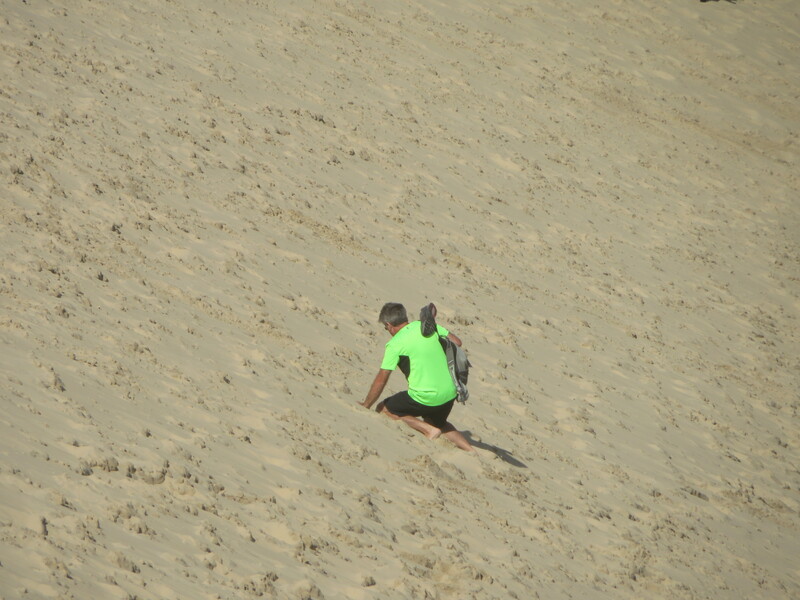 Shaking off the sand, we cycle back to camp – about 7:30pm! 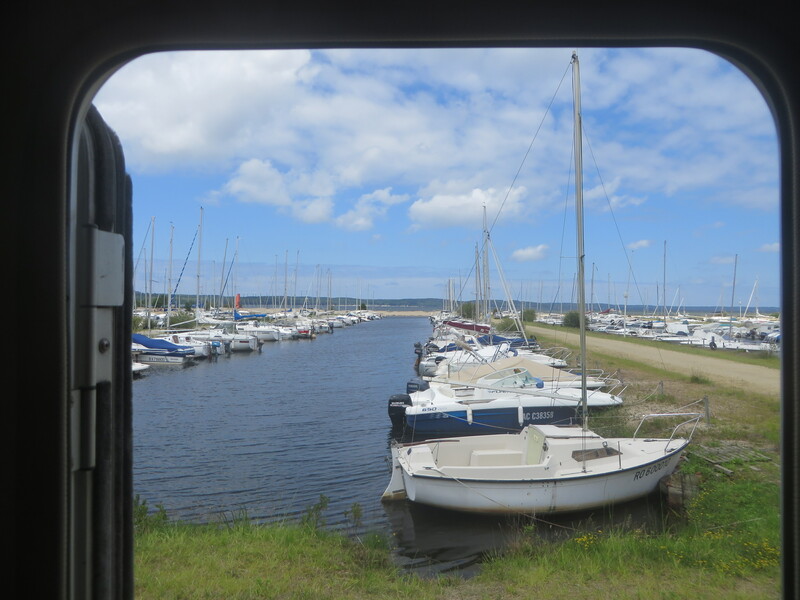 We had been wondering at the lack of wildlife we’d seen on our journeys …. Until now!? 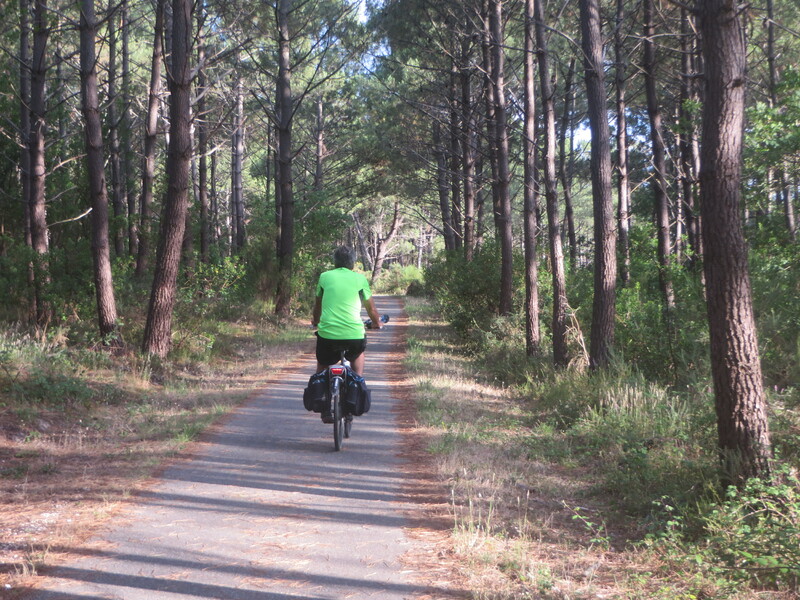 … Within about 10 minutes our questions were answered … they’re hiding in the bush and pine forest next to our cycle path. …..”STOP” Mark yells out as a large brownish snake slithers across our path. Yes, I managed to apply the brakes in time and watched it disappear into the forest. Phew! To our delight this time, we spot a deer, a squirrel and a bushy tailed fox!… The pleasure and enjoyment of bike riding!! 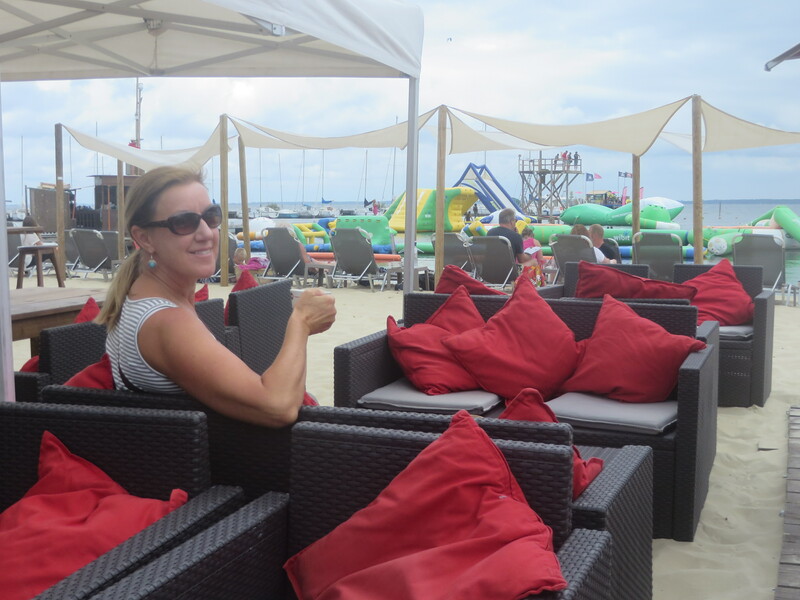 Our €15 “aire” overlooks the boats! 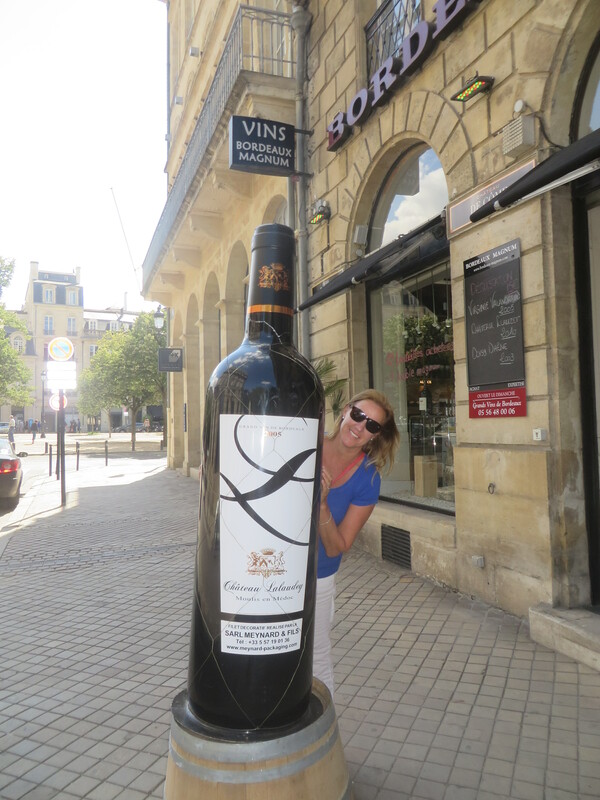 100km east is the large historic city of Bordeaux! 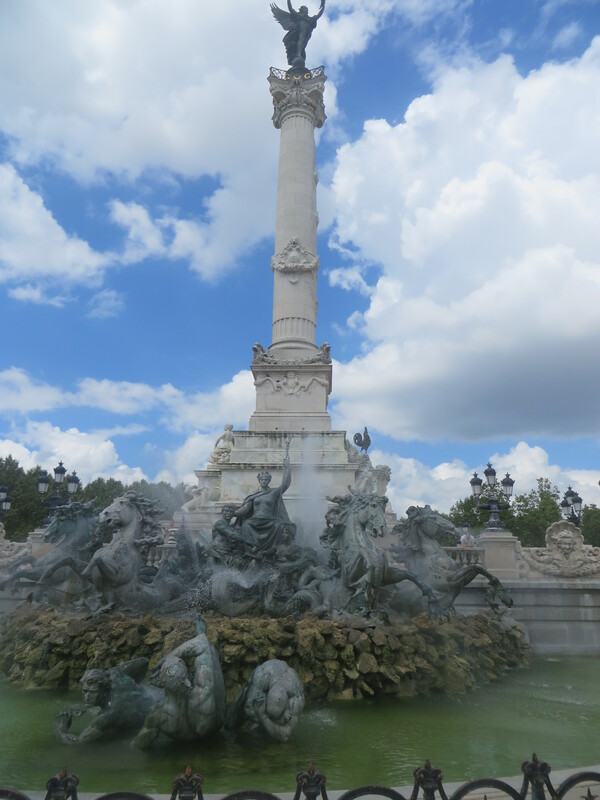 During an hour bus tour we discover its beauty & history! 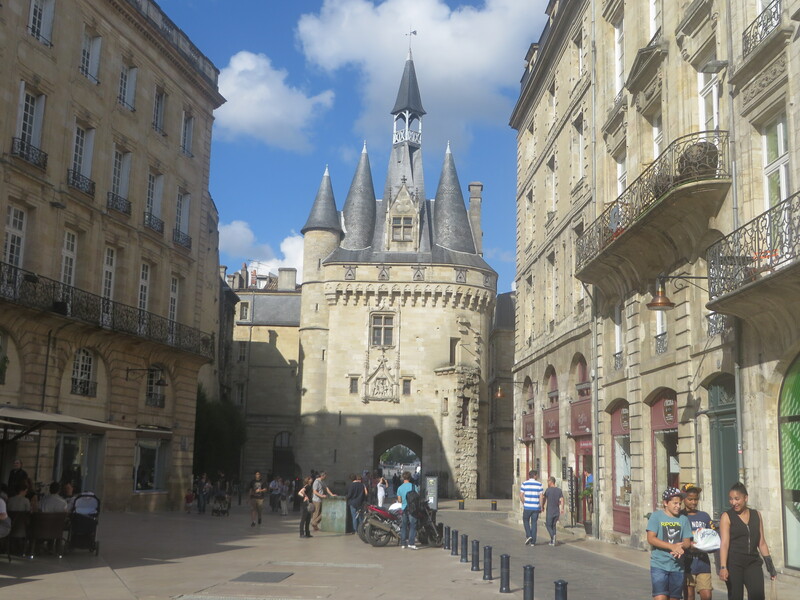 Bordeaux is a city of contrasts. 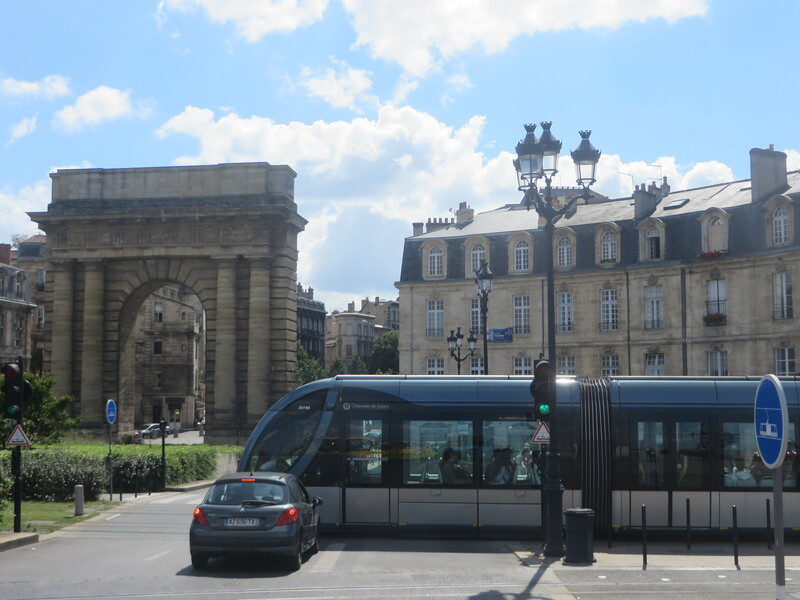 Modern trams glide by ancient architecture. Wine bottles are enormous compared to our petit café. 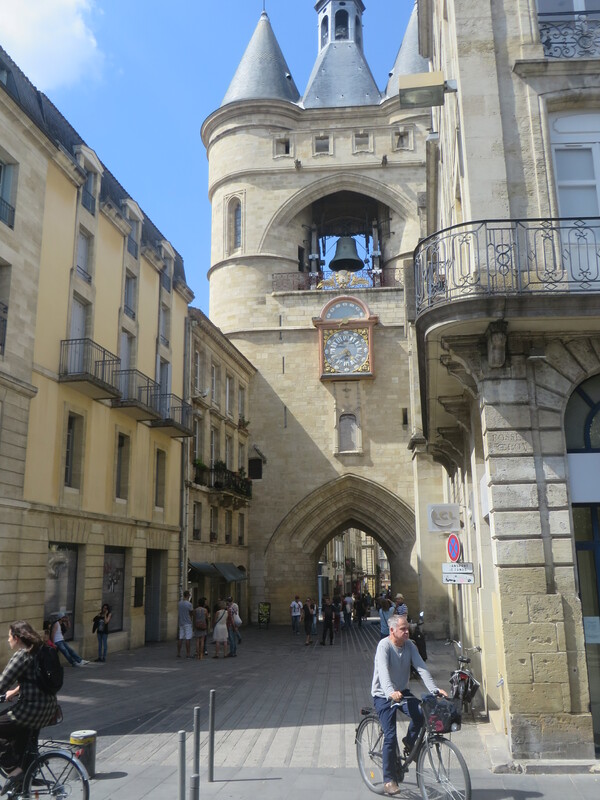 The focal point is the 15th century cathedral (Saint Andre) and its separate bell tower. It was built next to the cathedral to avoid the vibrations from the massive bells which weigh 8 tonnes!! The cathedral was built over 800 years! 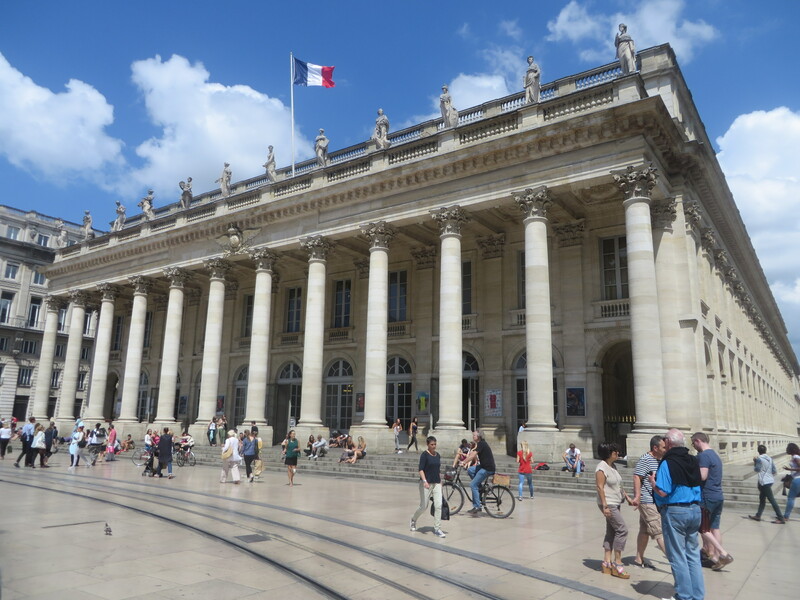 The impressive Bordeaux Theatre stands handsomely in the city square. 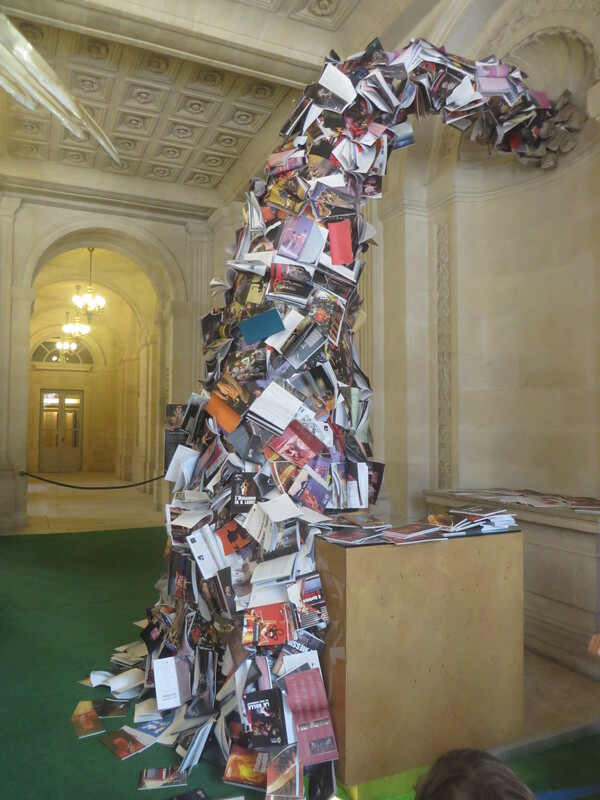 Found some amusing modern art sculptures too!…Theatre programmes collected over the years creating an unusual tower in the foyer! 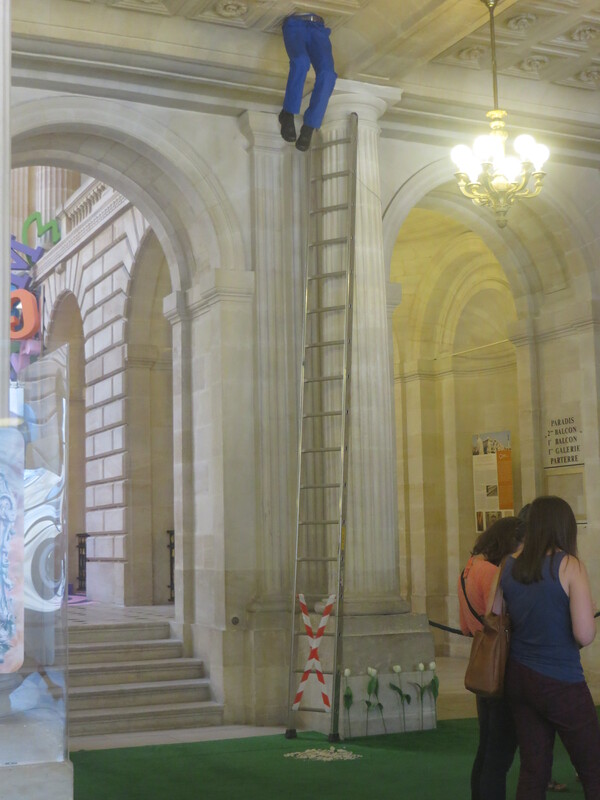 Also a “Safety Display” – with a man stuck in the ceiling? ?… in a modern arts display …. French sense of humour?!?! Ha! Ha! Wondering whether we should duplicate this in our Safety Centre?? Along the river esplanade they have created the Water Mirror – a water floor over large black granite area. Young and old splash and enjoy its cooing effect. The water is 20mm deep – you can splash, but you cant drown!! Every hour, the water drains out and the area turns into a fine mist – up to 2m tall. 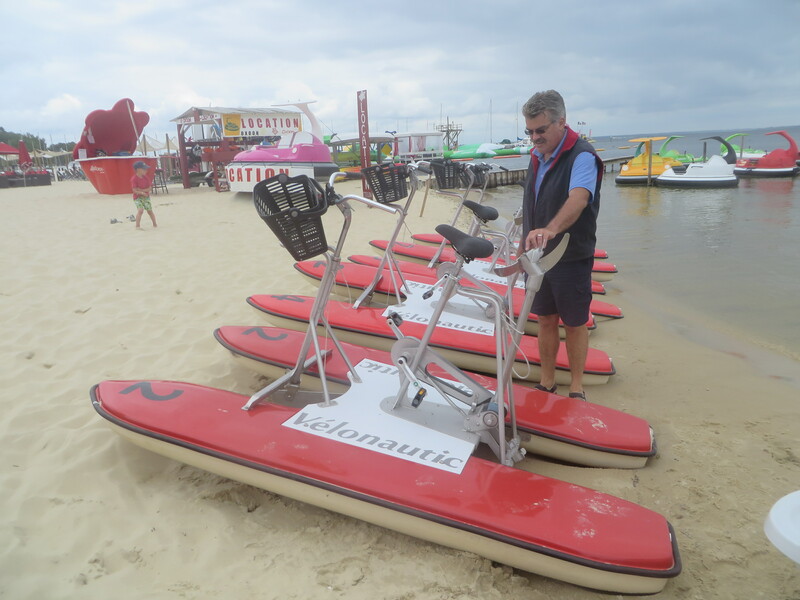 It is not all wine, the city population is 1.1m in the greater metro area and a large number of important companies are based here – we passed the factory for Lagoon Catamarans – the world leader in sailing catamaran cruisers. 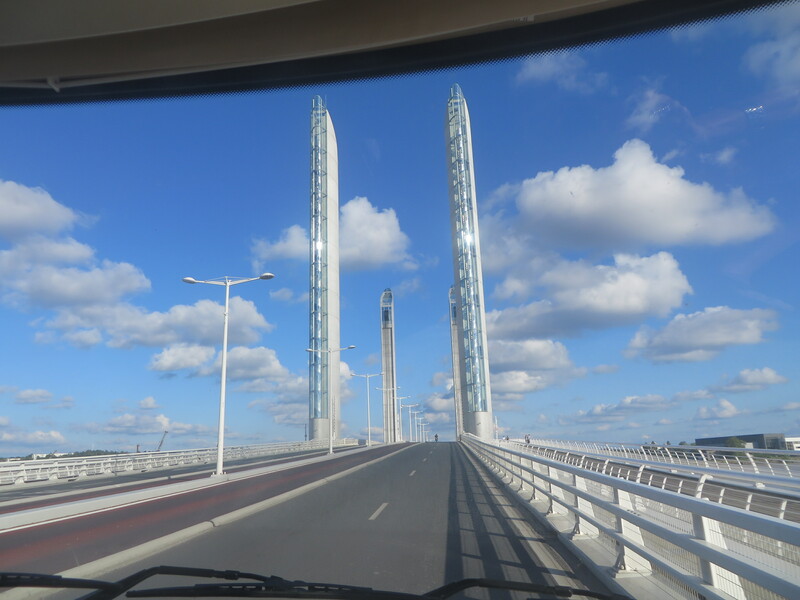 Leaving Bordeaux through the elegant modern bridge we find the village of Branne. Exploring with “Bruce” gives us so much freedom and flexibility. We are able to “stop on a whim” & change our route whenever we like! 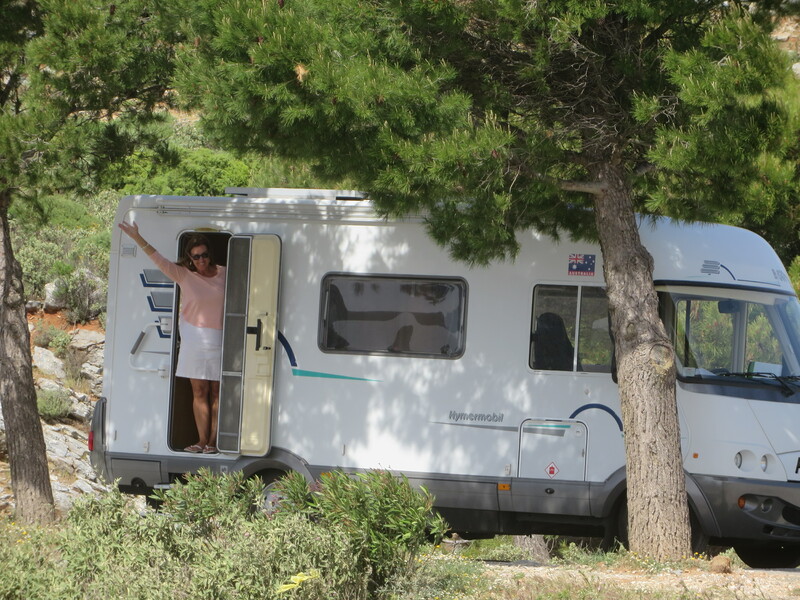 “Yes, beautiful here, lets stay longer!” In France particularly, they often put aside a very scenic area designated for motor homes! 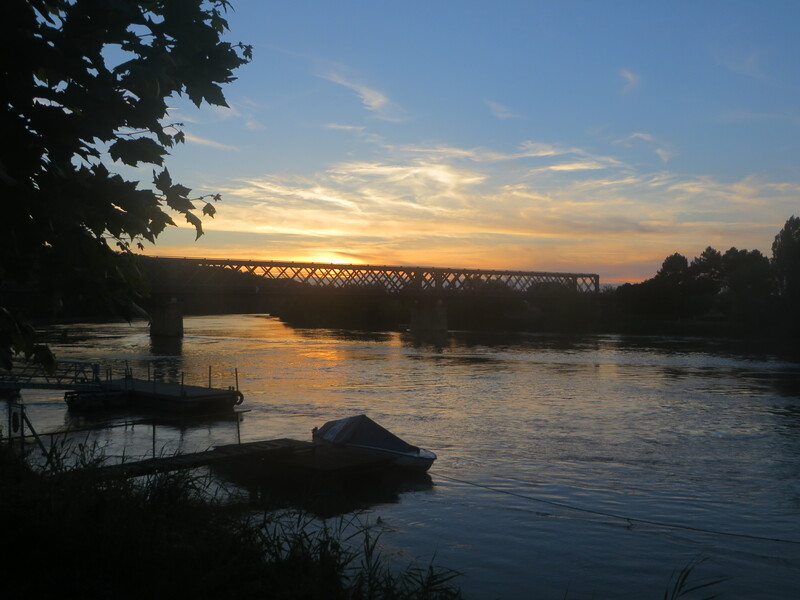 Again spoiled with views of the Dordogne River for the day and evening. 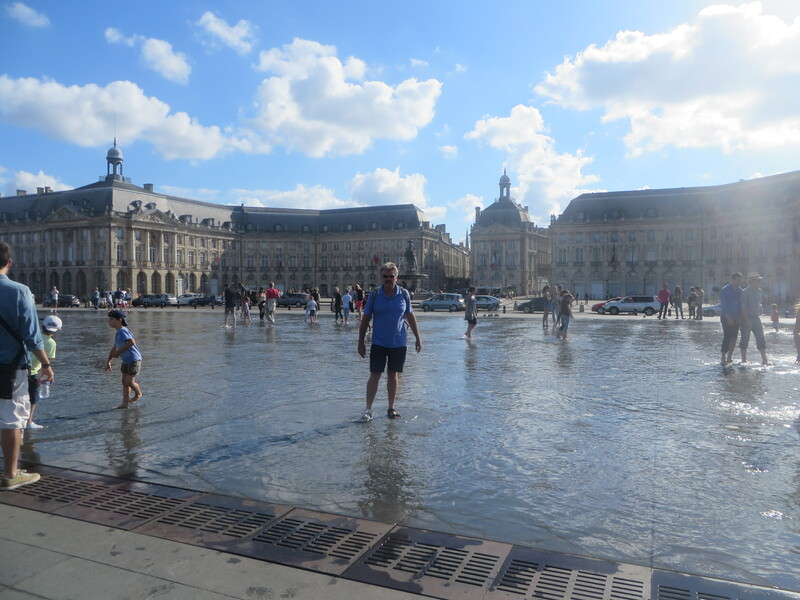 Great pics on bordeaux, i will be there soon. Getting around with english speaking… will it be ok? Thanks for a response if can. We have had very little trouble with English in any area frequented by tourists. 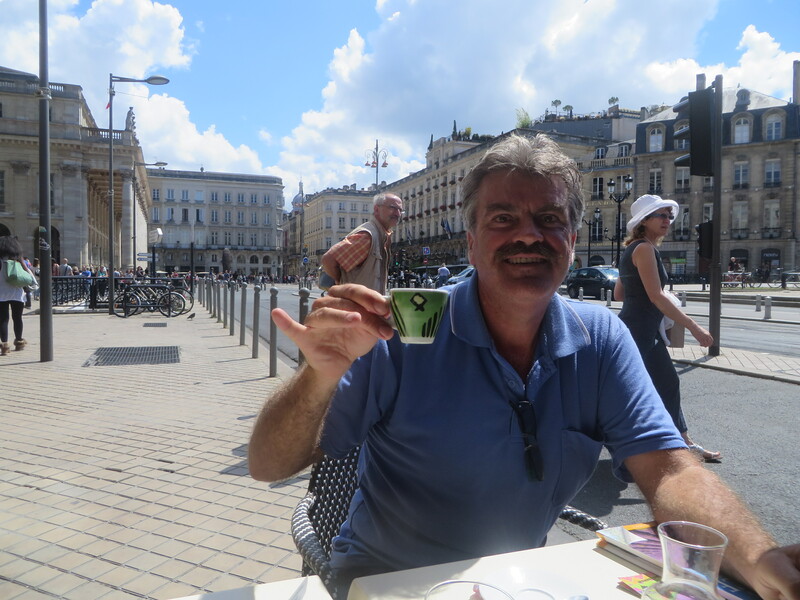 It always helps if you can do the basics in the local language (French, Spanish, etc) – “deux cafe creme s’il vous plaît”, “Merci”, etc then hope for the best – and unless it is a complicated issue, you will be fine. Yesterday, I needed to buy a fan – the one used in computers to assist in cooling down the fridge – so I googled what a computer is, then http://www.google.fr to find a shop for “ordinateur” near us, then went to the computer store. He spoke no English, however not hard to say “FAN” and point out your requirements. Ten Euro latter, job done – then into the HyperMarche to buy the components to join it up!! All worked well.